Chinese New Year is approaching in less than a month and the best way to spend the CNY is with family and friends and there’s no better way to enjoy that than a sumptuous reunion dinner with them. Sunway Putra Hotel Kuala Lumpur brings another exciting food promotion as we usher the Year of Dog. The reunion dinner is priced at RM1188 per set for 10 diners, it is available from 8th February to 12th March 2018, dinner starts 6pm onwards. 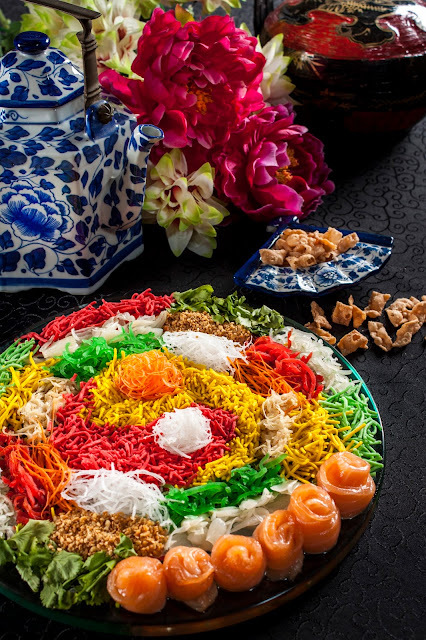 To kick start the lunar year, lou hei is a must, this stunning salad platter crowned with generous portions of premium salmon. A traditional Chinese soup that has a unique balance and contrast of flavor. The soup has a crisp texture of vegetables, the sweetness of the seafood and sourness of vinegar. The chicken was cooked perfectly, it was so juicy ozzing out at each bite and the skin was light and crunchy last but not least coated with sweet and sour plum sauce. Chinese-style steamed fish with soy sauce and topped with shredded ginger, scallions, and cilantro leaves. I love to pair this with steamed rice, drizzled with the soy sauce from the steamed fish, nothing taste as satisfying as this. One of my personal favorite, the prawn was nicely cooked and absolutely fresh. I love how the elements of salted egg yolk blended in together with the prawns. A simple yet delicious dish, sitr fried Nai Pak with stock and garlic served with tender mushroom dumplings. Served piping hot, the flavors of chicken and yam seeps evenly throughout the glutinous rice with the wonderful scent imparted by the lotus leaf as you tuck into the rice. This is the part of the dinner I'm looking forward to, the dessert. The chilled dessert was just nice, it was not overly sweeten and it paired perfectly with the lotus puff which was slightly sweeter. This was a great combination. The Reunion Dinner comes with two different set which were specially created and prepared by Chef Chew Kang Chai and his team. Dinners can choose between set A or set B. 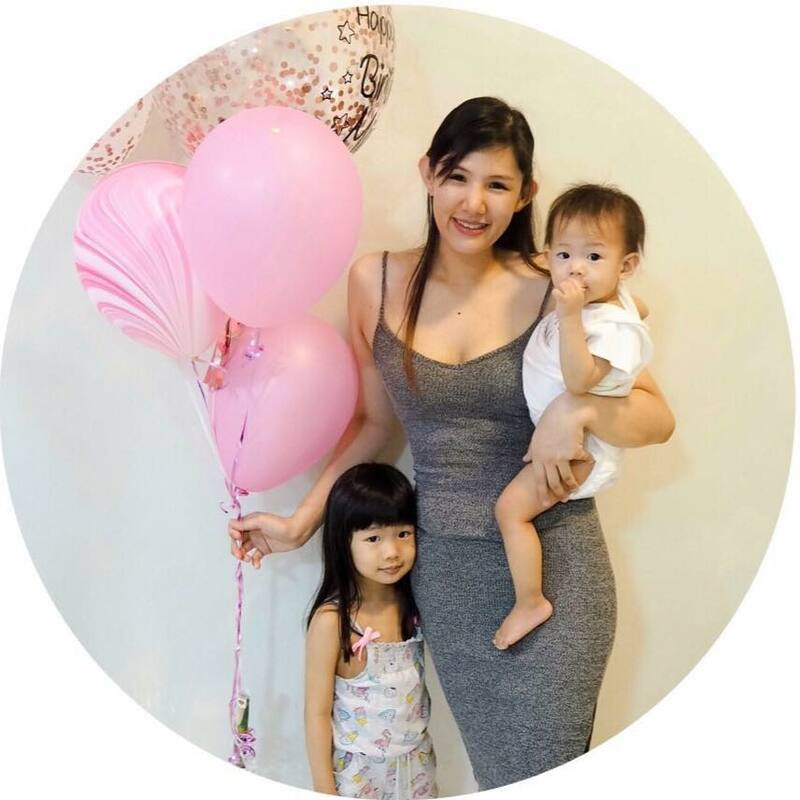 According to Chef Chew, the highlight of the main course will be the lip-smacking main dishes; Deep Fried red Snapper with Sweet and Sour Sauce, Stir Fried Tiger Prawns with Salted Egg Yolk, Stir Fried Broccoli with Mushroom Dumplings and Steamed Lotus rice with Chicken and Yam. Each set dinner, diners will be served with Chinese Tea. wah... really love the concept of halal chinese cuisines. this way Muslim friends can also enjoy the CNY celebration! Anyway, all the foods looks very tempting! wah.. promosi sempena sambutan untuk CNY ke ni.. awal-awal dah promosi yea.. bagus sangat.. TB tak pernah ke Sunway Putra lagi.. jauh ..
Oh yes yes yes yes. I can suggest this to my company for our CNY dinner.Thanks thanks. This place looks amazing! Will have my family reunion dinner there I guess. Can’t wait! The Chinese new year food look nice especially the crispy chicken. The fish look fresh n delicious.